The choice regarding whether or not to invest in a CRM for your nonprofit is a tough one. They are expensive systems in terms of monthly subscription rates alone, but on top of that, they take training and implementation time. We actually deep dive into questions to ask if you’re looking at this decision in a previous post. 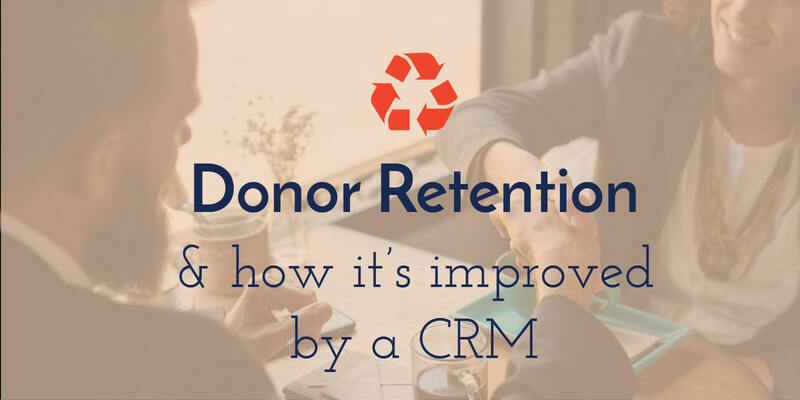 There’s one benefit that needs a whole post on its own: how a CRM can help you with donor retention. Let’s take a look so you can understand how an initial investment could help you increase donations as you better manage donor relations and waste less time. Imagine what you could do if you had an assistant. You could have them follow-up with recent new donors, send your emails, record the history of each donor you’re in contact with—basically they could do all the things you should be doing, but for which you run out of time. Many of you could use one, but hiring an additional employee isn’t realistic for your budget. Say that assistant made $15 per hour, that would cost over $2k per month. Even an expensive CRM is about half of that. When you look at a nonprofit CRM in those terms, plus calculate how much time you save by having that extra help, it can really pay off. Many of you could use one, but hiring an additional employee isn’t realistic for your budget. Say that assistant made $15 per hour, that would cost over $2k per month. Even an expensive CRM is about half of that. When you look at a nonprofit CRM in those terms, plus calculate how much time you save by having that extra help, it can really pay off. Lead-scoring is a popular tactic in traditional sales, but your nonprofit rarely has time to assess each donor in those terms. With marketing automation, you can quickly assign attributes to certain scores and then the system records and updates the score for you. Say the donor volunteered at an event once, so you’d give a score of two. They donated $50, a score of four. They contributed monthly all of the last year, a score of eight. You can be as specific or general according to what works for your nonprofit. At the end of the year, it becomes easy to track who you need to focus your energy on versus to whom you send a couple emails. We all have good intentions, promising ourselves we’ll stay on top of our donor relationship records next time around. Let’s be honest: if you don’t put a system in place for doing so, this will never get done. With a CRM, you can keep track of each and every interaction you have with your donors—from the digital to the in-person events. This is important not just for reporting and tracking purposes, but also if you want your donors to feel you care about their individual contribution. Another way to show you care about each donor? More personalized messaging. This sounds great, but sadly it takes a huge chunk of time to manually send out personal messages. With a CRM, you can segment your contacts into several categories. Having done so, you can get more specific in your message content, tone and send time. If you don’t yet see the value in content marketing for your nonprofit, please read this ASAP. If you do get it, you know what a tremendous impact it can have on your donors and reigning in more funds. To increase this power, you can use your CRM to track it all. Not only will most CRMs allow you to write, publish and promote all within one tool, it will show you which content donors read and track the data revolving around these interactions. We really believe a nonprofit could benefit from a CRM, but we don’t want you to make this tough decision on your own. To get a consultation regarding your needs and what might be the best fit for your organization specifically, contact our team today. 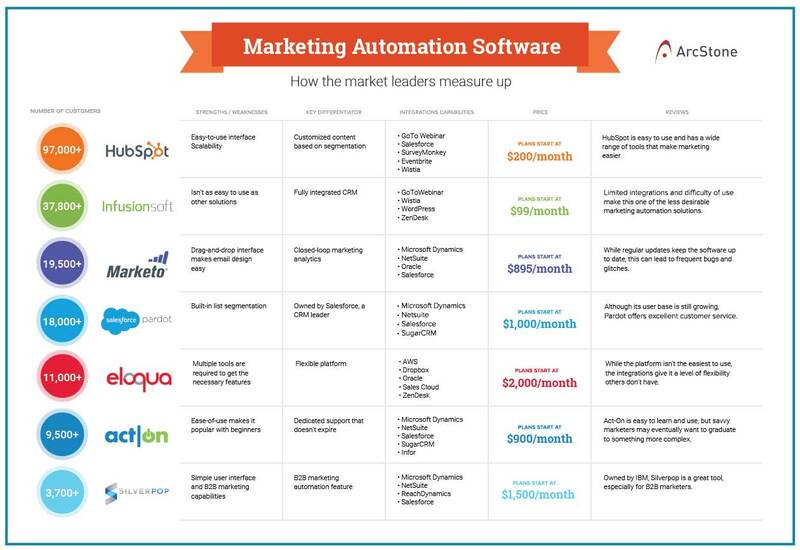 Here’s a CRM comparison chart to get you started. ⟵Is it time for your nonprofit to invest in a CRM?